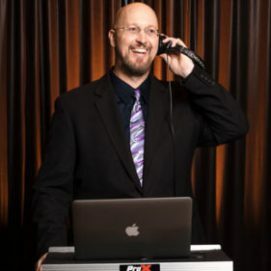 Our chill wedding and event DJs know how to get your crew, your fam ... and even your relatives ... down for an epic party. We are super talented, super passionate and super friendly. It’s your wedding or event and it’s all about what you want. We know how to pack a dance floor. Woot! Woot! 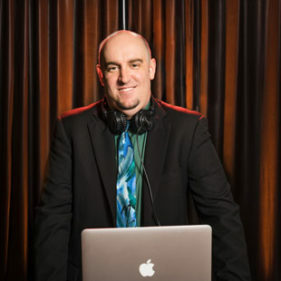 Go ahead, Google us and you’ll see why so many Wine Country venues recommend AMS DJs. To see if we are available to crush your party, email or call, text 707-823-7359. What a voice! Andy’s deep, rounding voice is an MC’s dream! He is a genuinely nice guy, a true professional and has amazing attention to detail. He treats brides like GOLD. 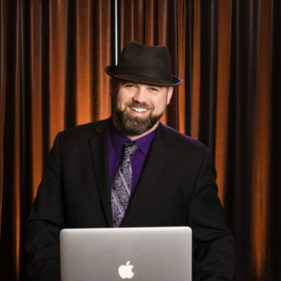 He truly cares about making people’s wedding day perfect and loves customizing the music format to fit each of his clients. Maybe that’s why when a guest at a friend’s wedding that Andy was DJing for, heard and saw him in action, canceled the DJ company she had booked for her wedding because she wanted Andy instead. That’s how good he is. can’t live without his wife, Mary, & their 2 daughters. has a strong aversion to pickles & long walks on the beach. enjoys hikes in the Redwoods. grew up in Humboldt County. has a happy place of sitting on the deck of a mountain cabin sipping some Jack Daniels. Music isn’t just important to Emil, it’s life. His background as a drummer, songwriter and singer says quite a bit about how important music is to Emil, but ask him why he loves to DJ and he parler avec passion, “I love DJing because music is a universal language that allows me to connect with virtually anyone through the medium of music”. Emil’s extensive knowledge and passion for music, totally flexibility and positive attitude makes him a pleasure to have at any event. That’s why our clients love him! loves his 2 daughters, traveling, coffee in the morning & micro brews. parle français (his first language was French). doesn’t appreciate traffic jams, scallops, rabbit stew or pollution. can’t live without his friends & family, the outdoors and music (of course). The man. The myth. The legend. This music loving gentleman is in a league of his own. Joe’s whole life has been surrounded by music. He started DJing at age 12, started AMS Entertainment at age 18, and has been creating epic parties since. The master mixer of all, Joe blends current hits and throwbacks to create the quintessential dance party. You won’t find anyone who will take as much pride in your event as he does. That’s probably because this isn’t just a job for Joe, it’s a profession and a passion. There is no such thing as a “cookie cutter” event with Joe and AMS Entertainment. Everything is custom fit for each couple so they experience a “truly them” unique event, with extraordinary customer service. cannot live without coffee (aka: miracle juice). And his wife. Not in that order. loves Motown and old school throwbacks from the 80’s & 90’s. enjoys re-runs of The Office. believes life is about balance. Which means always having a Blue Moon or a Kona Brew in the fridge. Maybe it’s because he knows how to read a crowd and play the right music to create an evening of magic for each event. Maybe it’s the hundreds of events he has DJed. Or maybe it’s because he makes the most memorable dance parties where everyone gets out, and stays out, on the floor all night. 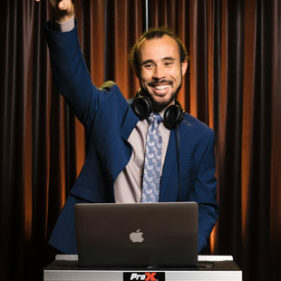 We believe it is all of the above and more that makes Rod an extraordinary DJ. He is a truly talented DJ and his events show it. He’s a Star Wars geek. He runs marathons with his lovely wife. And his dance parties rip roofs off of wedding venues. DJ Skip is an elite, all-star pro when it comes to turning moments into memories. 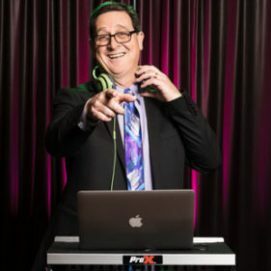 While his personal playlist would include Classic Rock and Old School Hip Hop, Skip is awesome at reading the crowd and knows what songs to play to make dance floors go crazy. His easy-going personality and service-oriented persona is an added bonus. He will blow your expectations for your event out the water! loves his wife and best friend, Vanessa. will take extra cheese on his sandwich, but please hold the mayo. is remarkably good at running long distances: 2 marathons & 4 half marathons under his belt …with more to come! has an alter ego…Nananananana Batman, yeah! She has perfect execution of mixing and transitioning…she has a contagious passion for music…she slays every event. DJ Merav is one incredibly talented and upbeat DJ. Not only does she throw the biggest dance parties, she has also she been featured on several radio shows, and has been a regular for certain hot spots in Hawaii and California (think, Zanazbar Waikiki and The District). 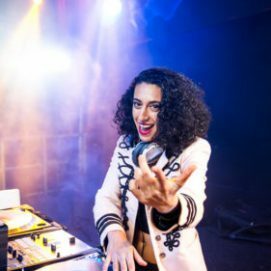 Her style ranges from hip hop to Pop to Top 40 and various electronic genres but she is well versed in all genres of music and keep her dance parties in high energy. Merav delivers beyond expectations. has skills and talents that are out of this world. Literally. A piece of her artwork is on Mars…yep, that’s right..the planet of Mars (It is engraved on the Sundial of the Mars Rover). AMS Entertainment DJs know how to nail a party with a mix of your favorite jams including Top 40 Hits, EDM and hip-hop booty shakers, Motown and wedding classics without the played-out clichés or line dances. It’s in our DNA to make party planning easy, worry-free and all about YOU. We hook you up with a Sonoma or Napa AMS DJ based on the input and song list you provide on our online music planner. Or you can request a particular DJ, too. You can meet in person, on Skype or via Facetime to review your music and get a feel for the vibe you want AMS Entertainment to create for you. 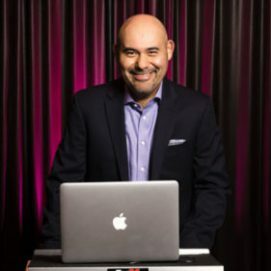 Every AMS DJ uses the same ultramodern equipment, has gone through AMS stringent customer service training and carries backup equipment. And we always have a trained DJ waiting in the wings because we all know, well ... s**t happens.